A year is a long time in footy, as highlighted by those players who have rocketed up Peter Badel's top 50, and those who have taken a tumble down the list. 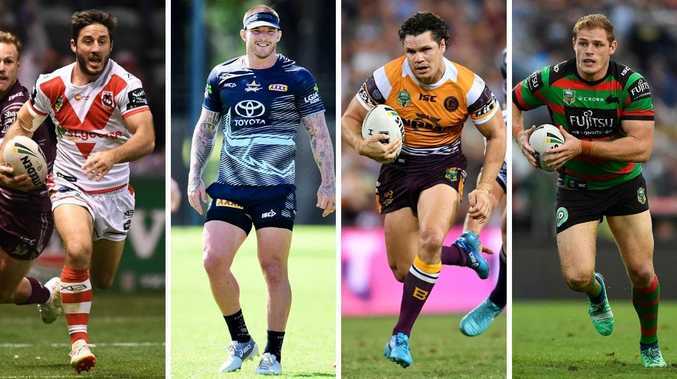 For the next three days The Courier-Mail's chief rugby league writer will countdown the NRL's hottest talent, before revealing the top 10 at Monday's NRL Season Launch. But who makes that top 10 when the field is stacked with so much talent? Does Latrell Mitchell find his way to the top after a year that saw him win a premiership and guide New South Wales to Origin glory? 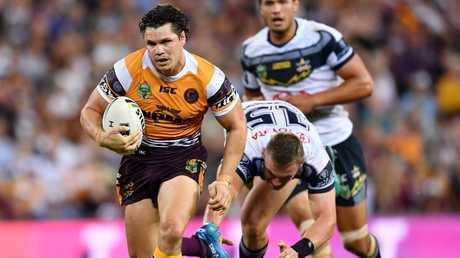 Does Queenslander young gun Kalyn Ponga announce himself as the NRL's best player, after proving he belonged in the Maroons jersey? Is it Dally M winner Roger Tuivasa-Scheck, Cowboys big bopper Jason Taumalolo, or all-conquering captain Boyd Cordner? Last year we saw Storm veteran Cameron Smith take out the top spot from Taumalolo, Johnathan Thurston, Billy Slater and Cordner rounding out the top five. From six to ten we saw Cooper Cronk, Michael Morgan, Tom Trbojevic, Matt Gillett and Jesse Bromwich. With a couple of retirees and some players whose form has slipped, we're bound to see some new names. Today, we start with the players ranked 40 to 31. Enjoyed a renaissance last season under coach Anthony Seibold after losing his way in 2017. Looked much fitter and it showed in his ability to back up for brutal midfield charges. KEY STAT: Career-high tackle busts (41), tries (five) and linebreaks (six) in 2018. Has averaged more than 100 metres in every season of his career. 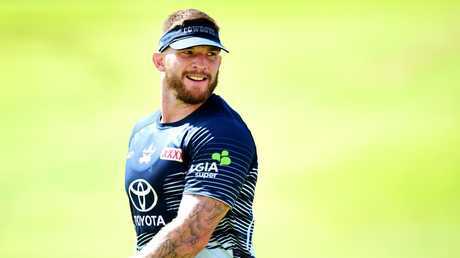 Enjoyed the finest season of his career in 2018, breaking into the NSW Origin side. But really announced himself during the finals when he destroyed the Broncos at Suncorp Stadium. On his day, few bust tackles like Tariq the Terminator. KEY STAT: Career-high run metres (2656m) and linebreaks (11) in 2018. Starting to find the consistency that can make him the code's most dangerous centre after his NSW Origin debut last year. Speed to burn and the Broncos are looking to him more in attacking situations. Also a brutal defender on the edges. KEY STAT: 81 tackle busts and 82 per cent tackle efficiency last year. 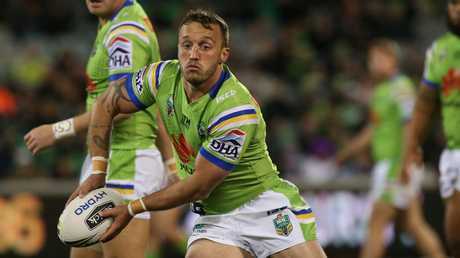 A former contender for the Dally M Medal, Hodgson was a late starter last year due to a knee reconstruction. Upon his return, he transformed the Raiders. His creativity around the rucks makes him England's version of Cameron Smith. KEY STAT: Led the Raiders try assists with 13, despite playing just 11 games. 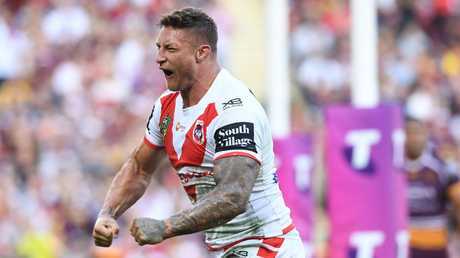 Answered the critics over his $6 million price tag with a very good maiden season with the Red V. Lost his Queensland No.7 jumper after two Origin matches but Hunt had a resounding pass mark at club level. Lethal when he runs the ball. KEY STAT: Ranked equal third in the NRL for try involvements with 40 from 25 games in 2018. Will be missed by the Roosters after producing a superb 2018 campaign to help the Chooks to the premiership. Can be guilty of unforced errors but has great athleticism and makes crucial yardage getting his side out of trouble. 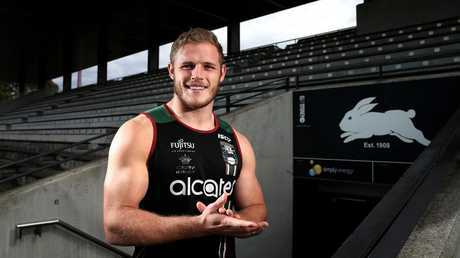 KEY STAT: Ran for more metres than any other player last season (5039m at 187 per game). Once hailed the next Andrew Johns, Brooks is finally maturing into an elite playmaker. 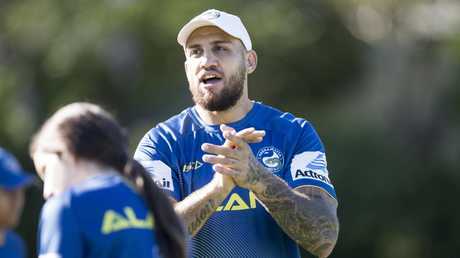 A third-placed finish in the Dally M Medal last year was a tribute to his consistency and willingness to grow as a leader. 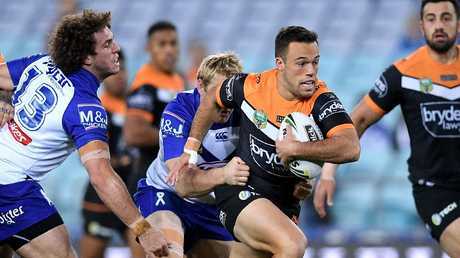 KEY STAT: Became the first halfback to play 100 NRL games for the joint-venture club and has the most tries for a Tigers No.7 (31). Currently embroiled in some off-field drama but his on-field performances last season were outstanding. Deserved his NSW debut with his workrate, toughness and ability to play before and in the line. KEY STAT: Produced 30 offloads last year and averaged 110 metres per game. One of the biggest men in the NRL at 200cm and 115kg with huge potential as well. The 22-year-old developed nicely from a bench player to an enforcer with the ability to start and spearhead the Storm's pack. So hard to stop when he gets going. KEY STAT: Set new career high minutes last season and made 918 post-contact metres. Made a surprise off-season move to the Cowboys after a decade of fine service with the Broncos. A seasoned NRL pro who does the dirty work and has excellent leg speed for a forward. Will give the Cowboys the harder edge they need. 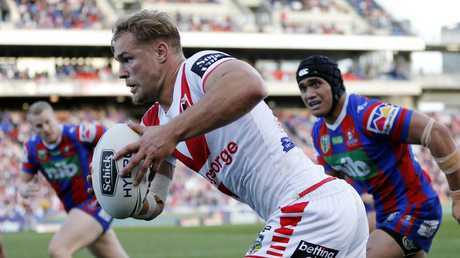 KEY STAT: Has averaged 100-plus metres per game for eight consecutive NRL seasons.